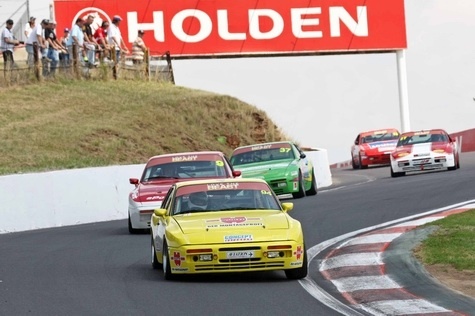 Paul Faulkner has convincingly won the 2009 Bathurst 944 Porsche Challenge. 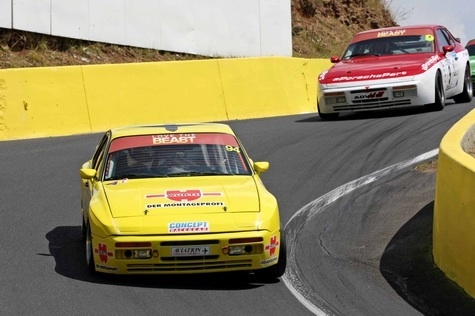 After disappointingly qualifying in 6th position, he progressively fought his way towards the front of the grid. In the last heat he blasted into the lead on lap one and then proceeded to drive away from the opposition at will. He attributes his speed on the weekend to the hours of work spent on developing his suspension set up.